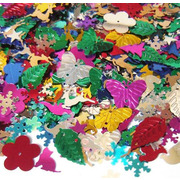 An assortment of metallic sequins for use in craft, children's crafts, card making and sewing. 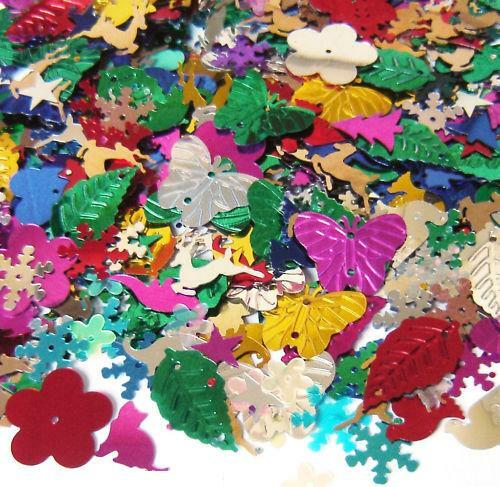 This is a bag of mixed shape foil sequins for a group of children to use at school or at home. 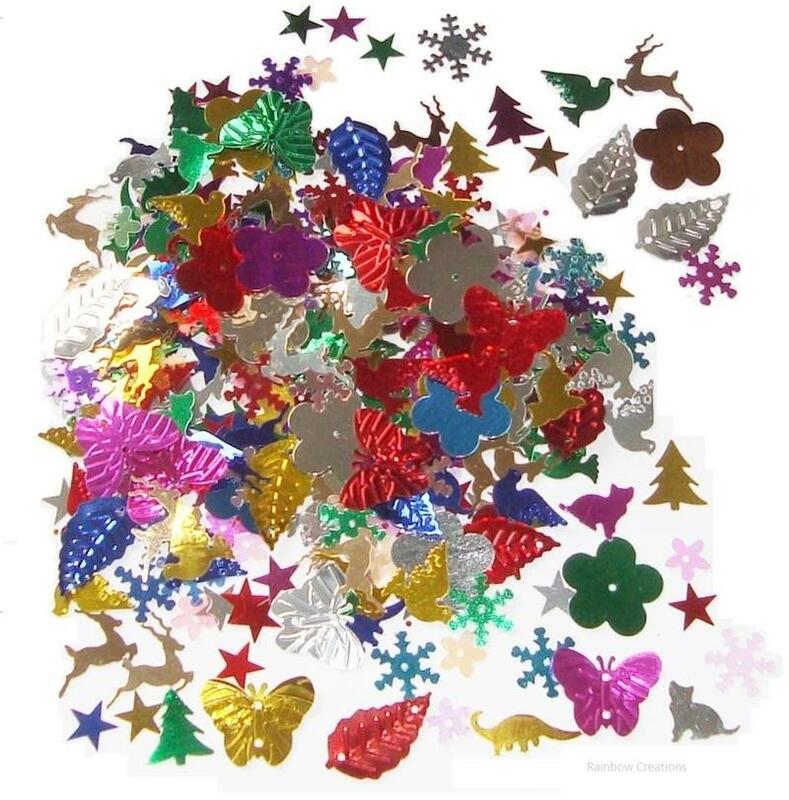 The sequin shapes include flowers, trees, stars, butterflies, reindeer, dinosaurs, snowflakes, doves and cats. 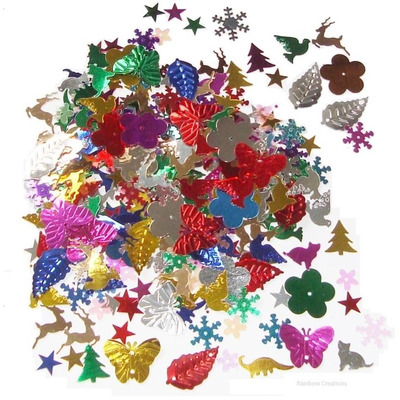 Useful for all year round use and many different themes in the classroom.